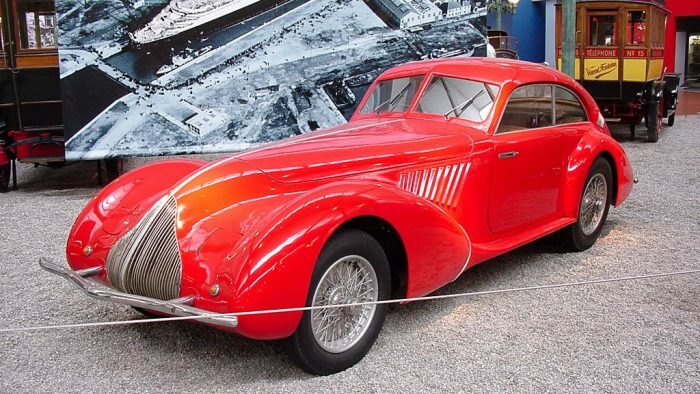 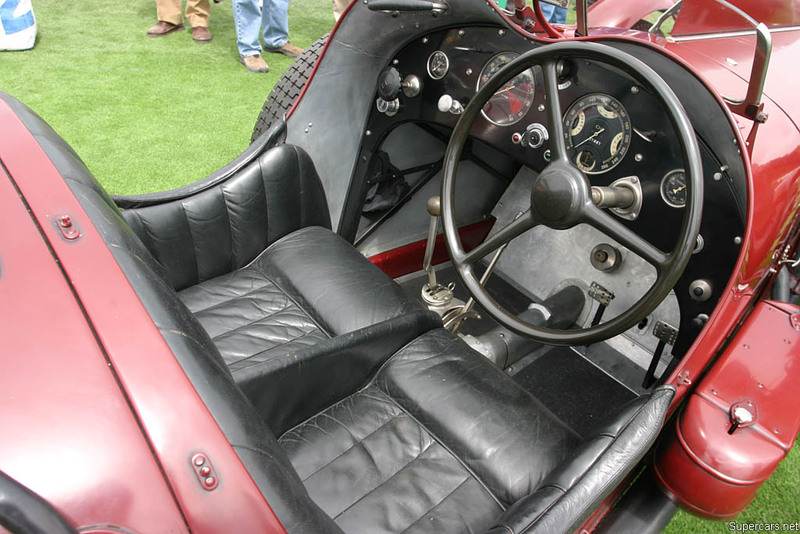 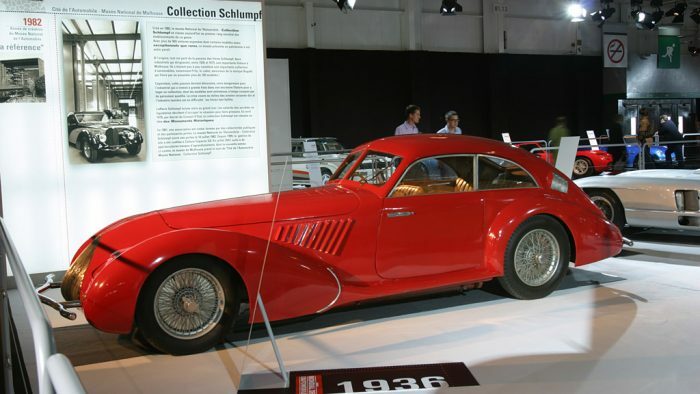 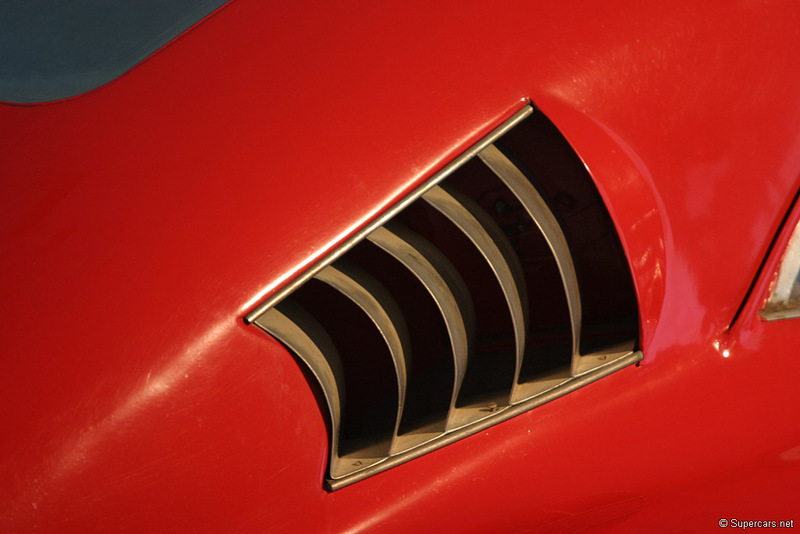 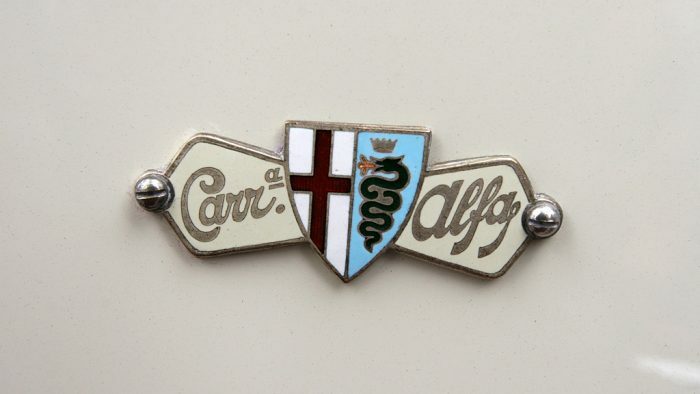 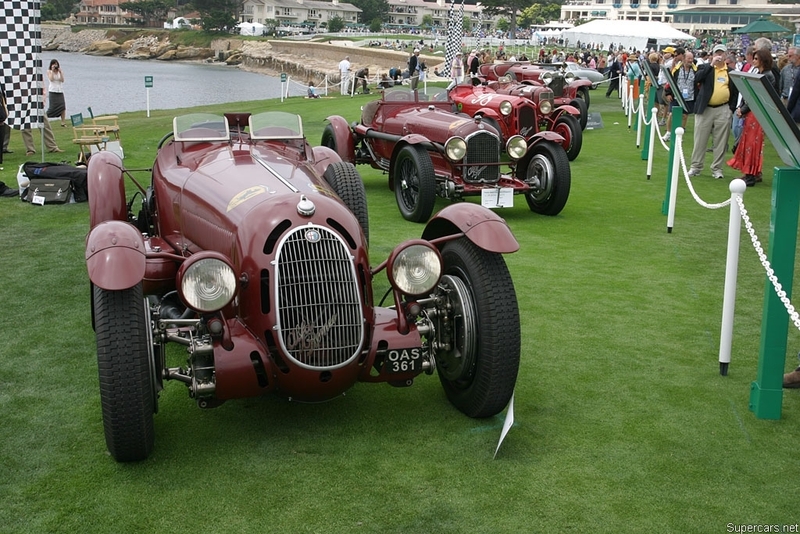 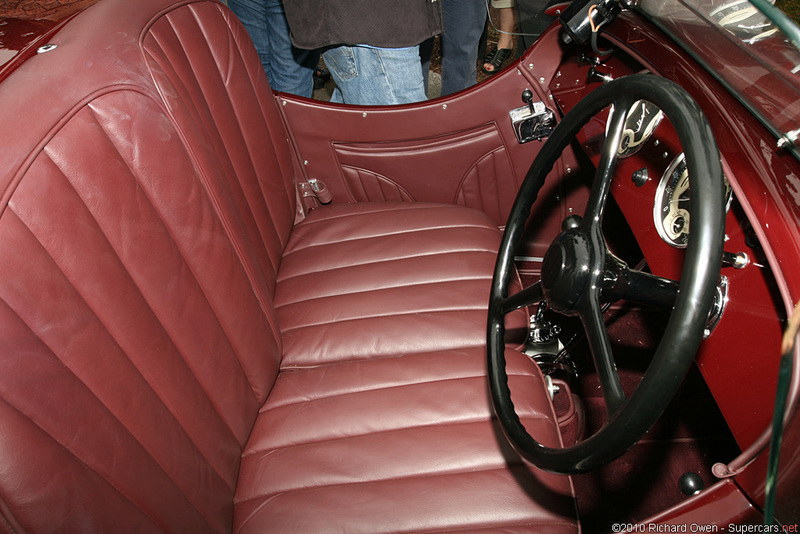 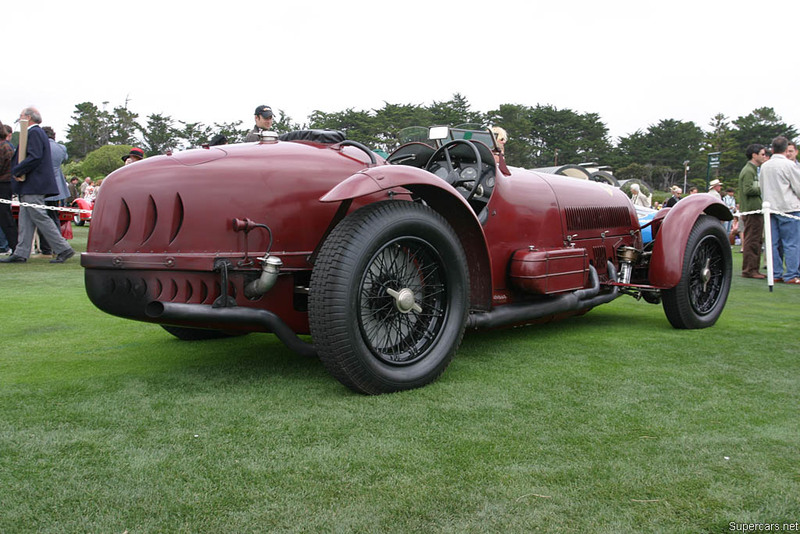 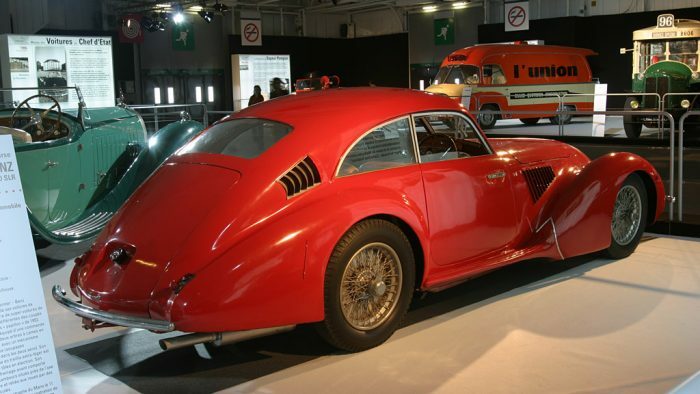 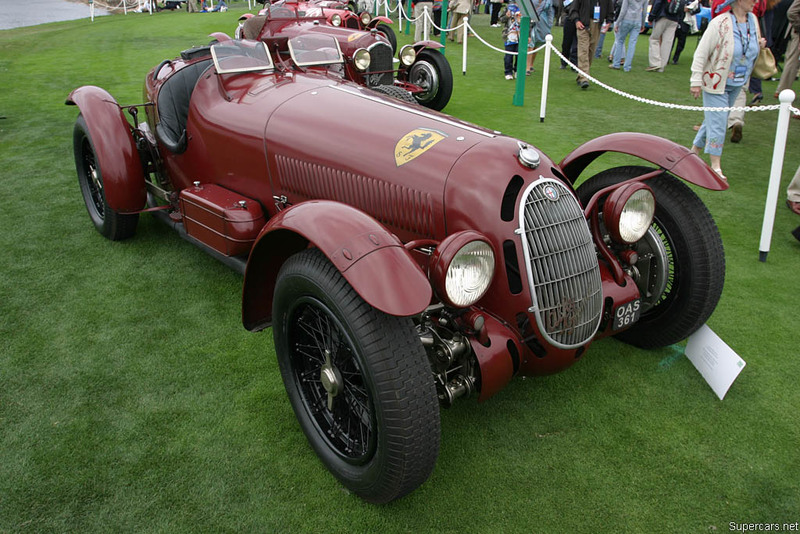 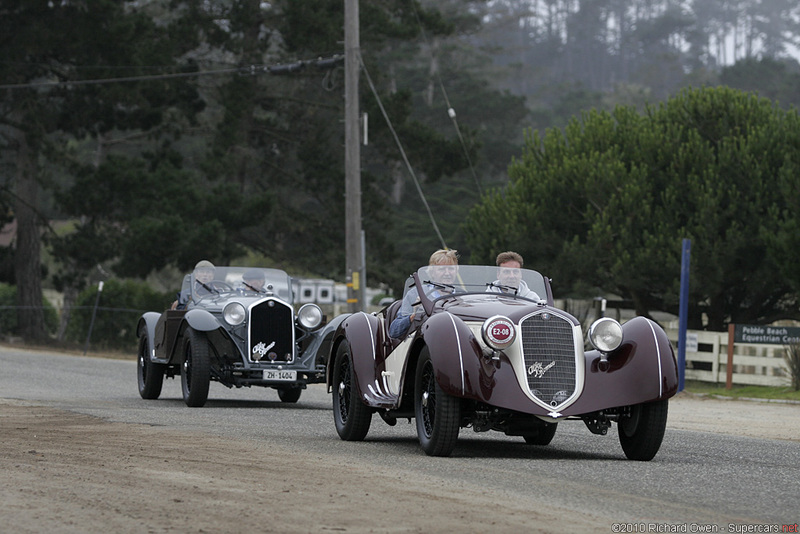 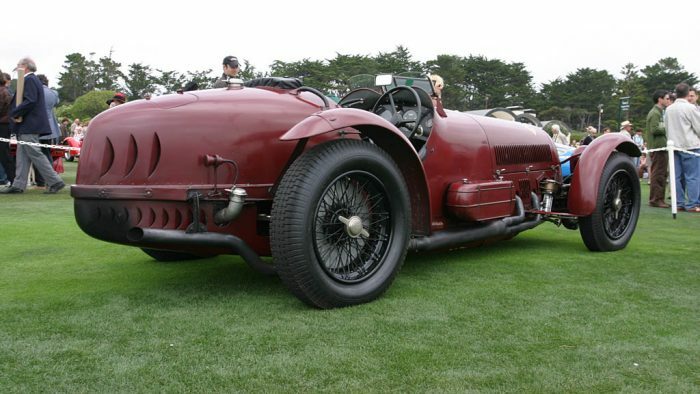 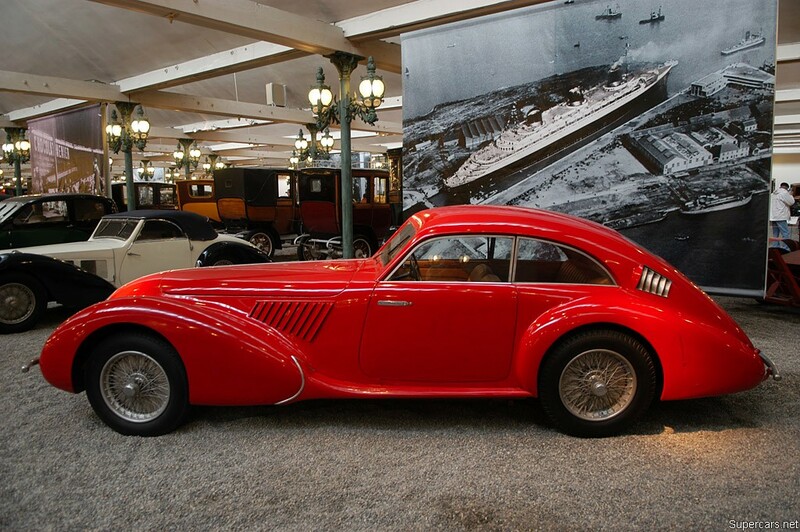 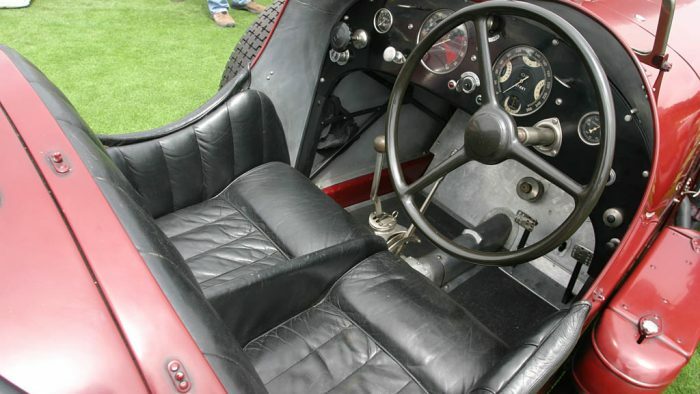 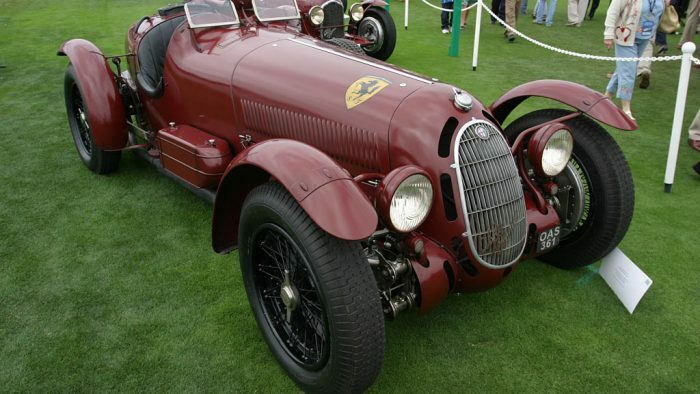 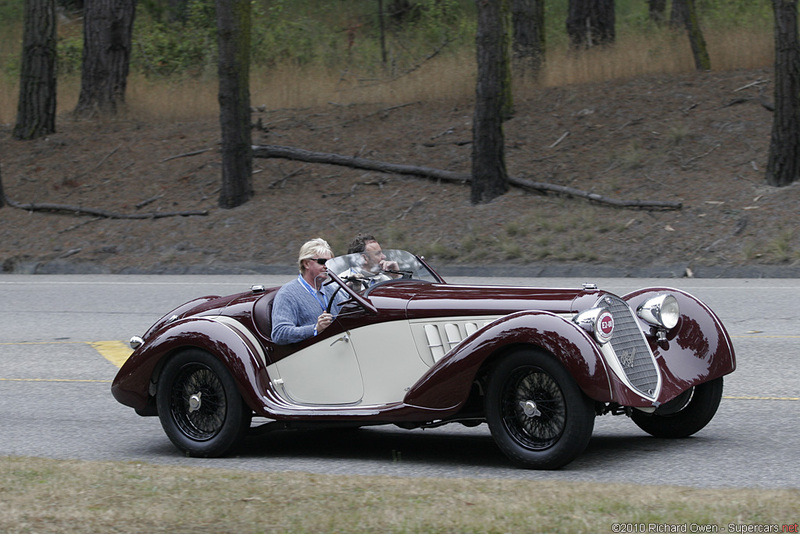 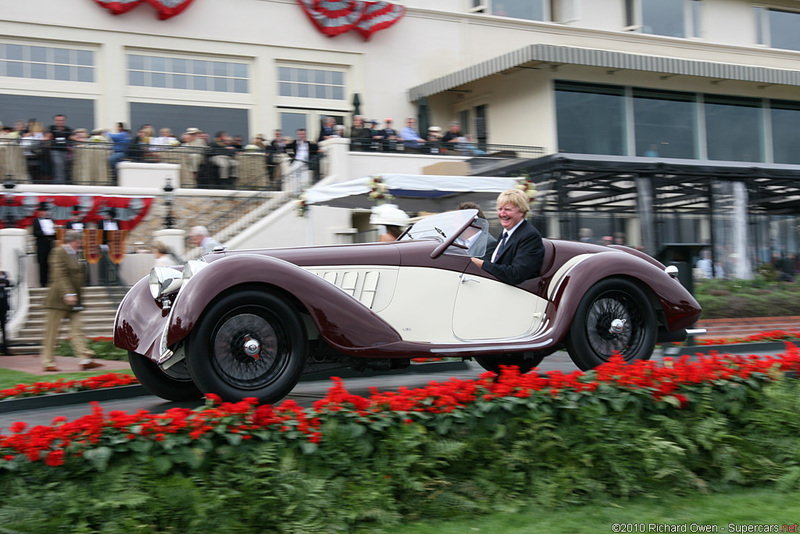 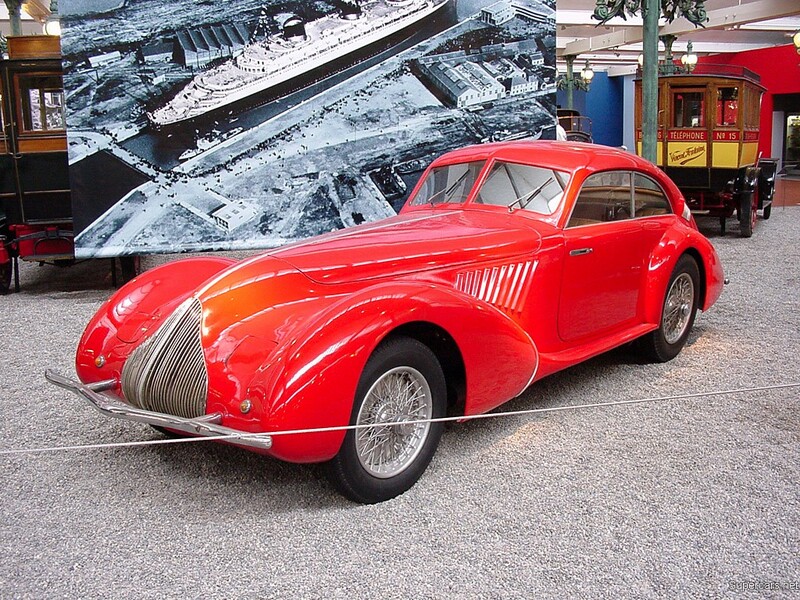 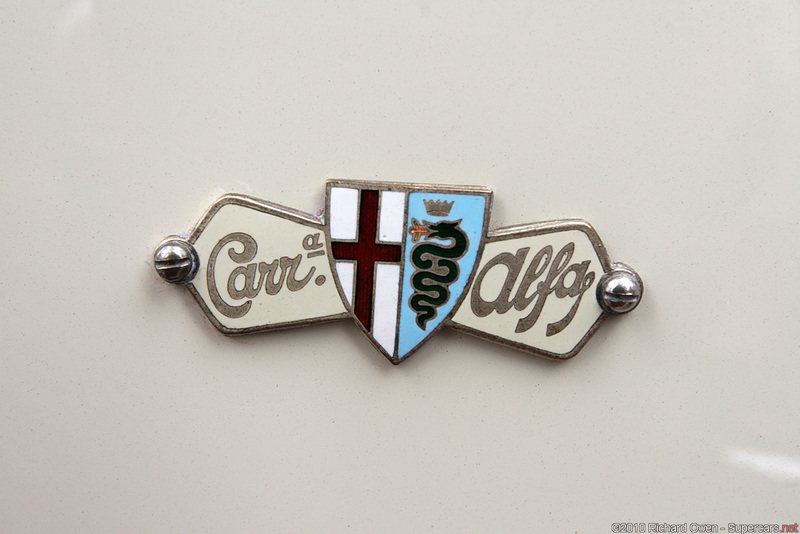 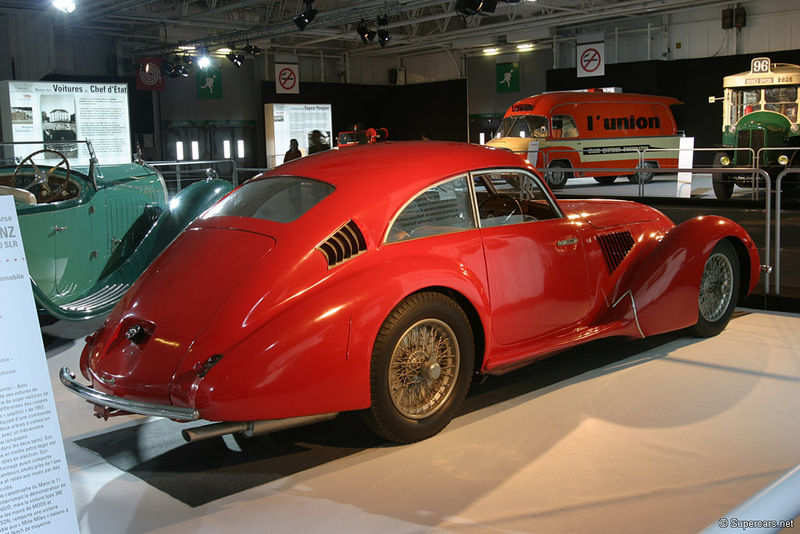 One of the most advanced sports car of the era was the Alfa Romeo 8C 2900. 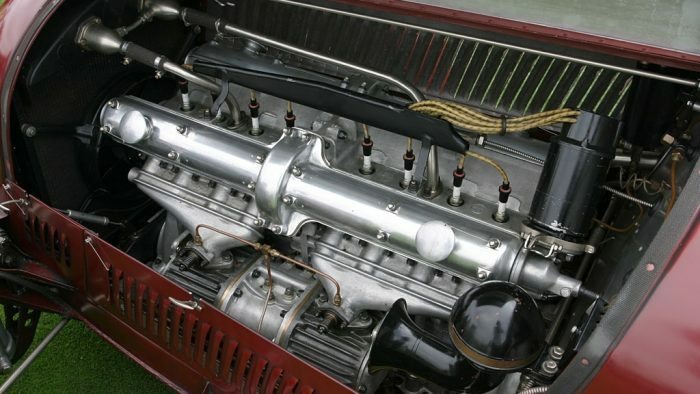 It is barely believable that in that day and age this car had double overhead cams and valves, two superchargers, a transaxle, independent four-wheel suspension adjustable from the seat, and a magnificent styling. 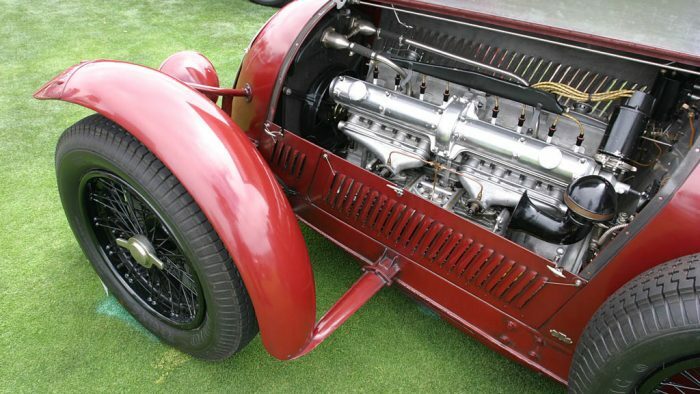 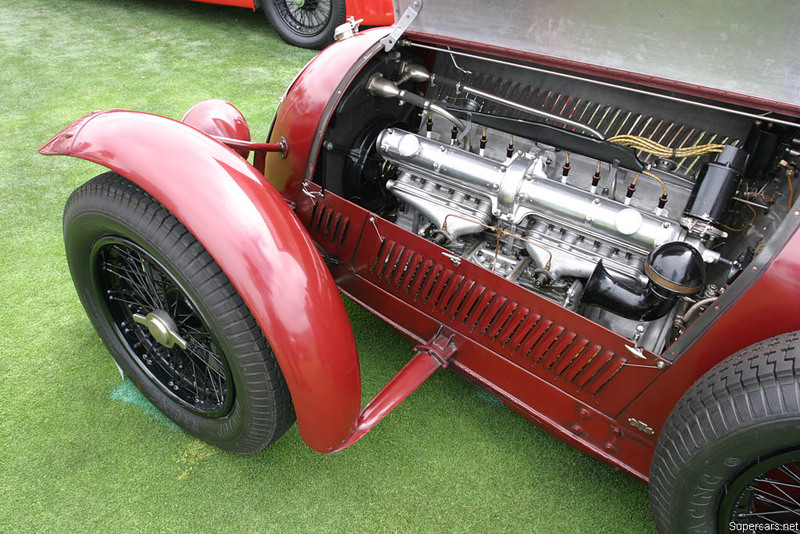 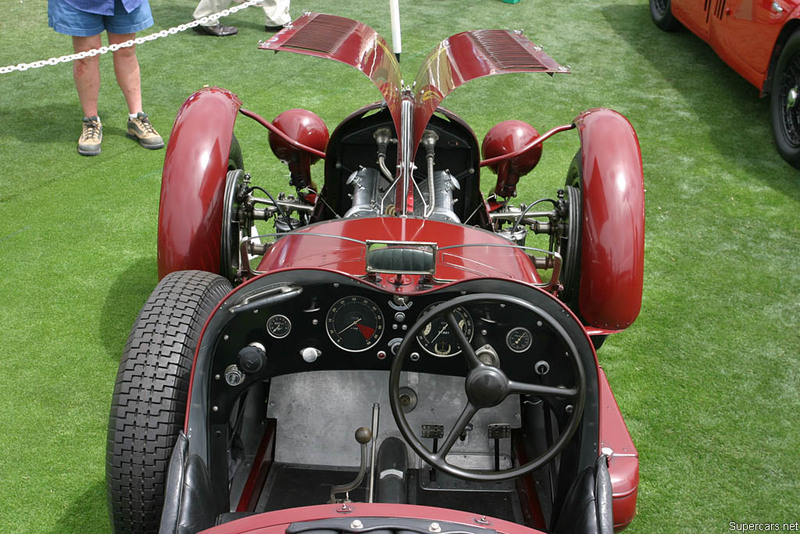 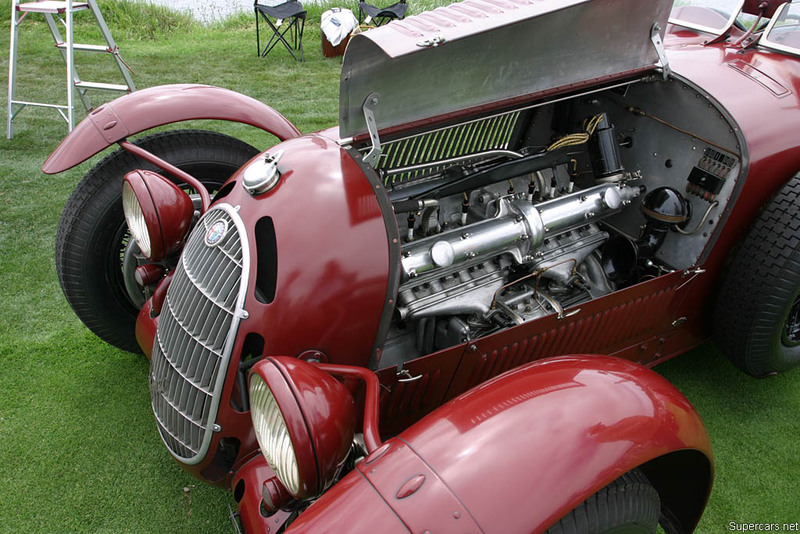 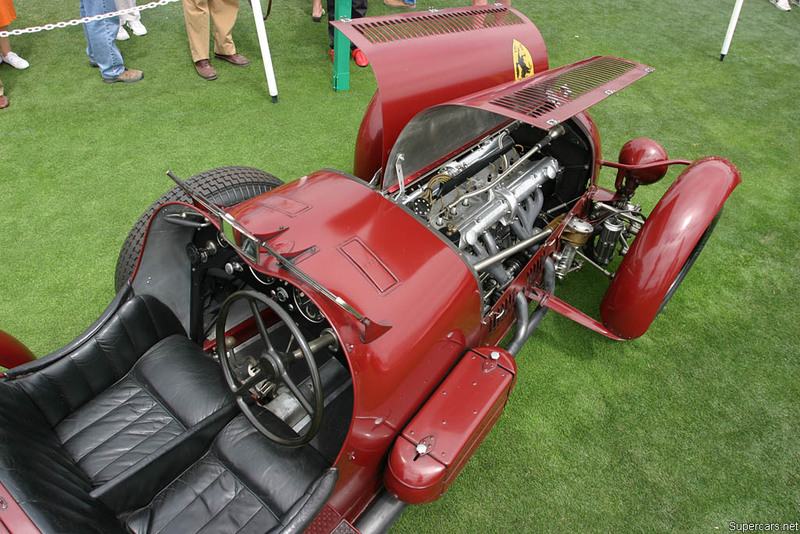 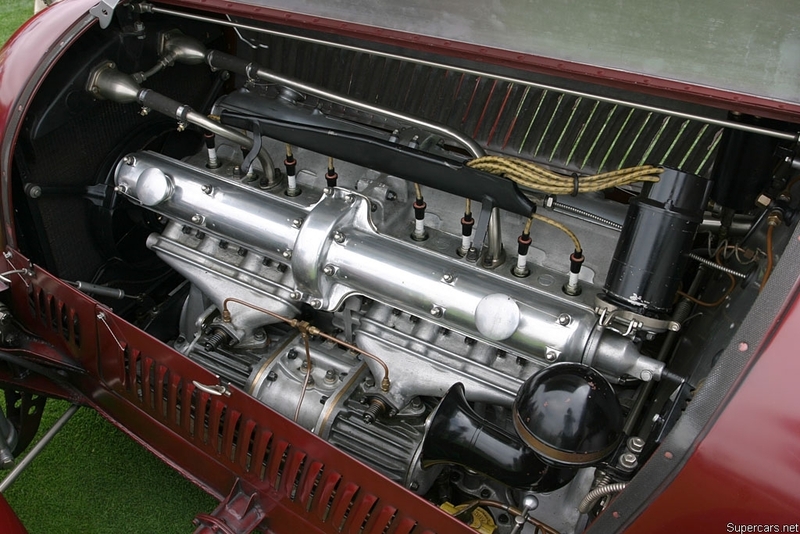 The engine had been developed over time, tracing it’s history from the Tipo B grand racing motor. 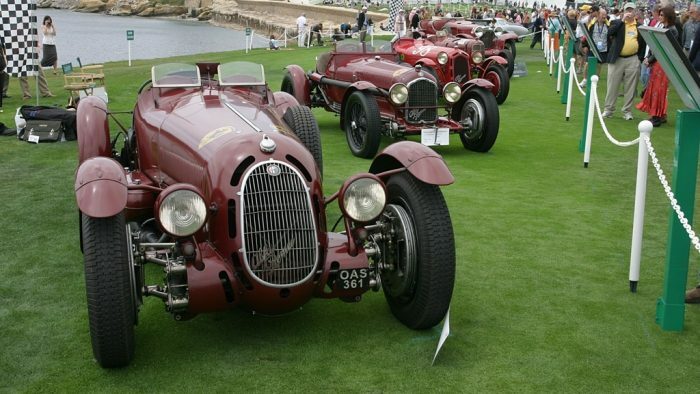 These cars were no joke, winning the Mille Miglia four times and Spa 24 Hours twice. 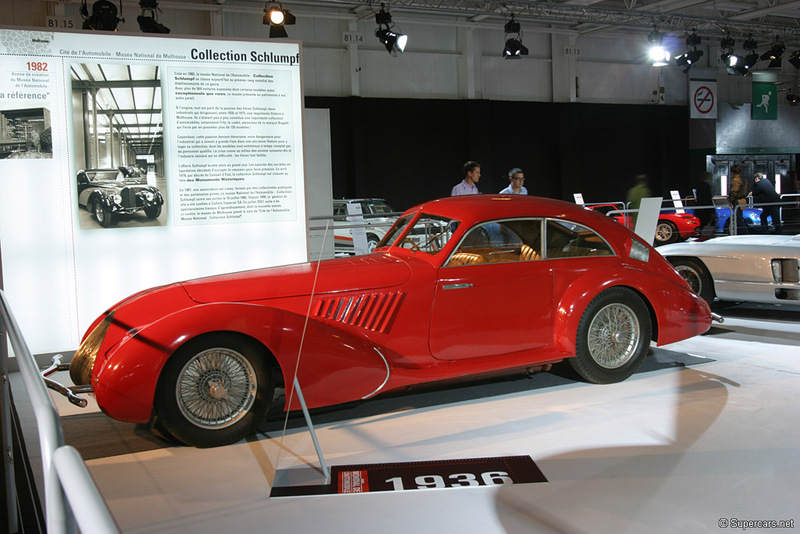 In 1938 a 2.9 berlinetta led the Le Mans race until an unfortunate blowout prevented it from finishing. 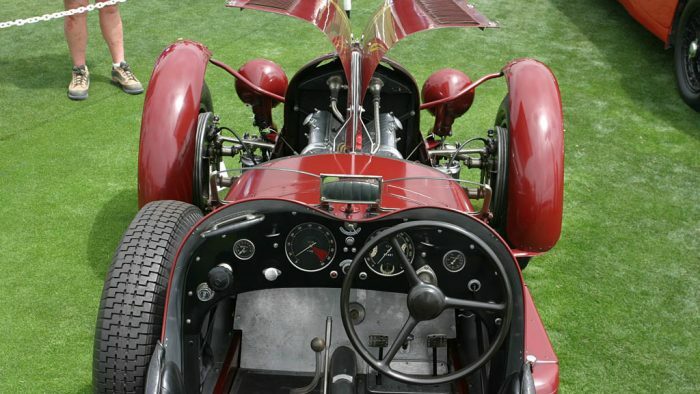 Known for both its top speed, efficiency, cornering ability, and overall endurance, they were made for long distance racing. 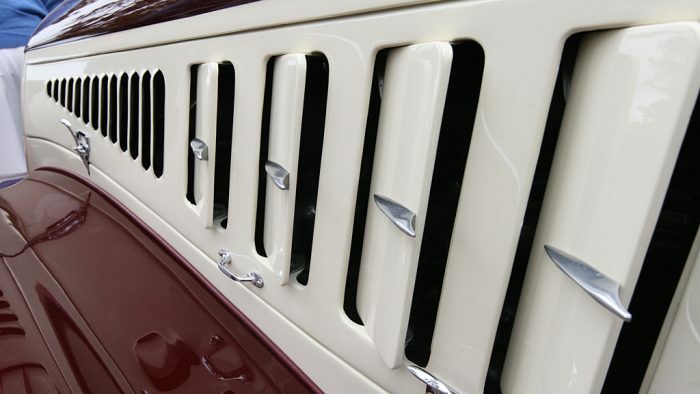 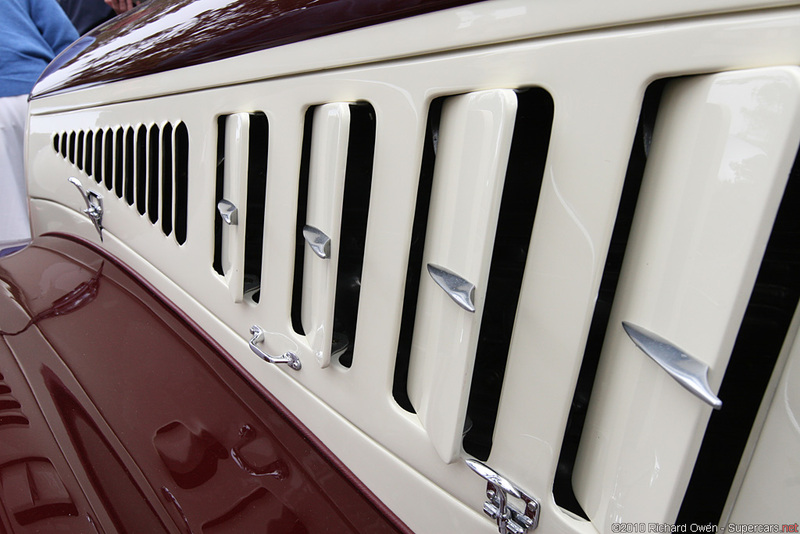 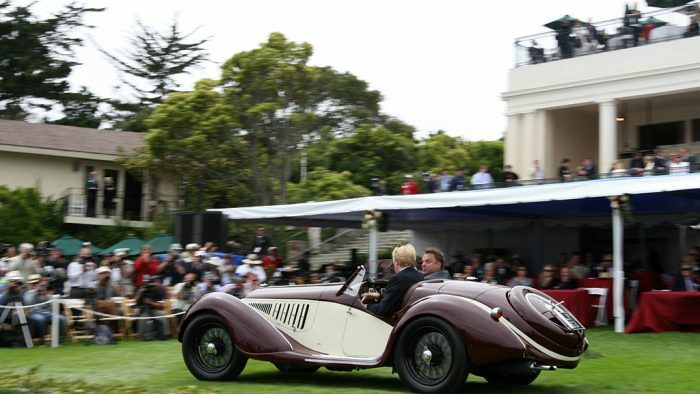 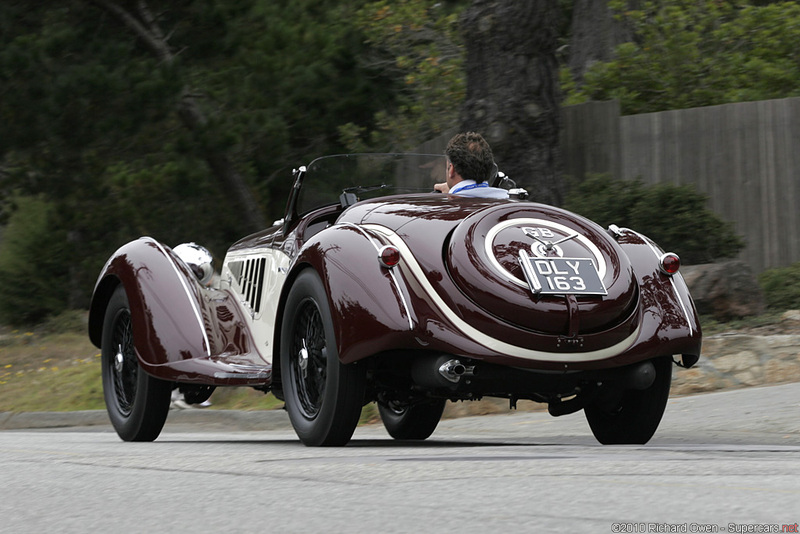 Today they remain the most highly prized pre-war sports car. 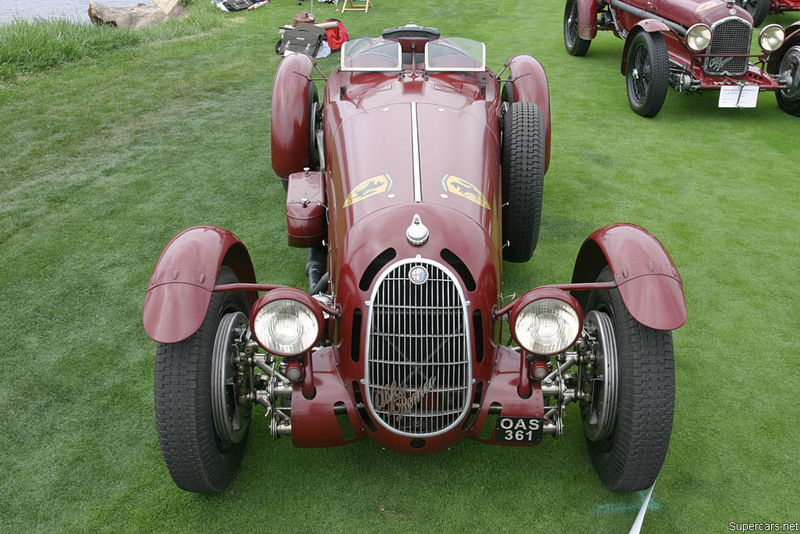 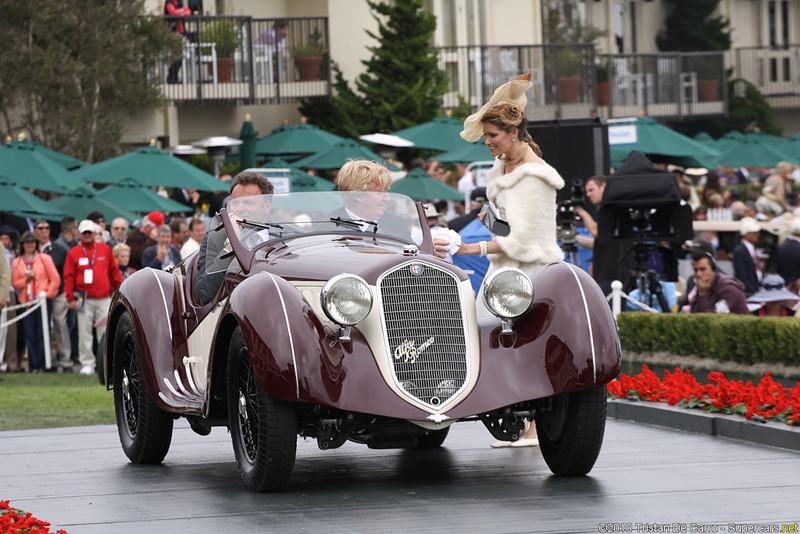 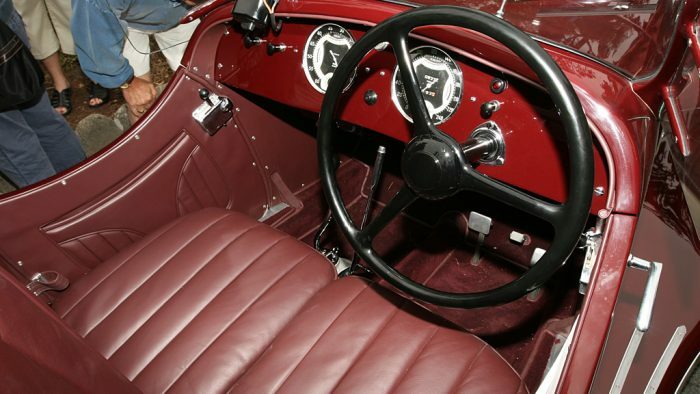 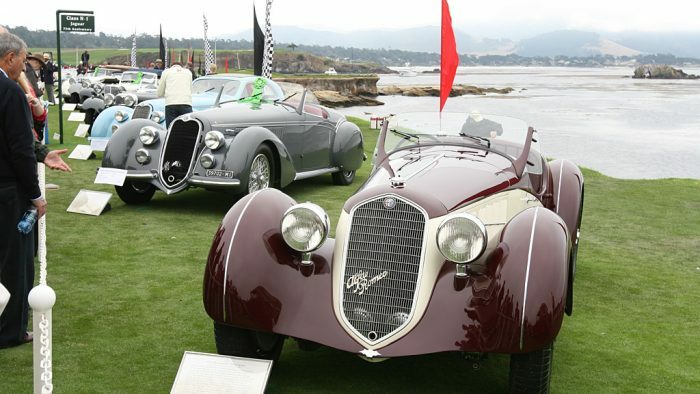 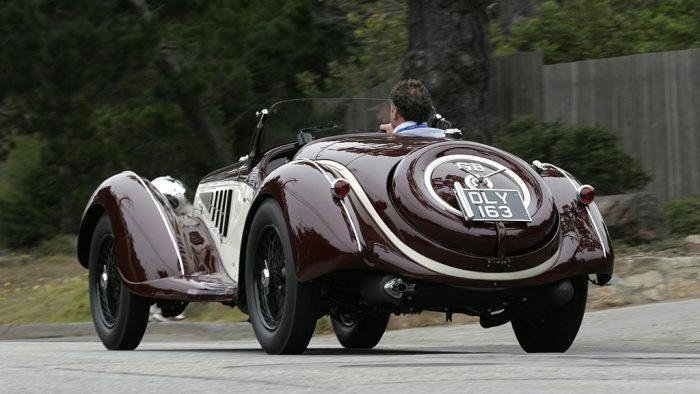 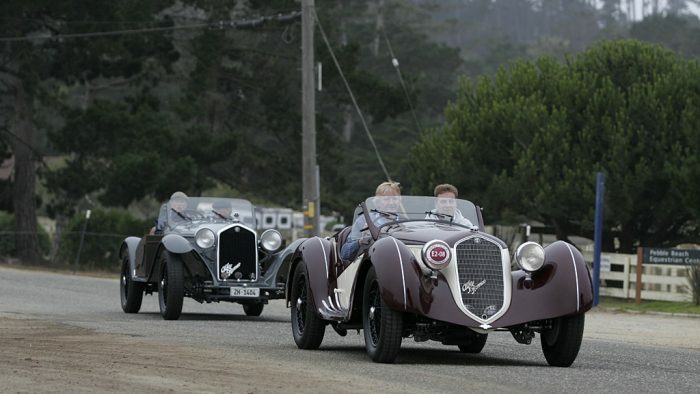 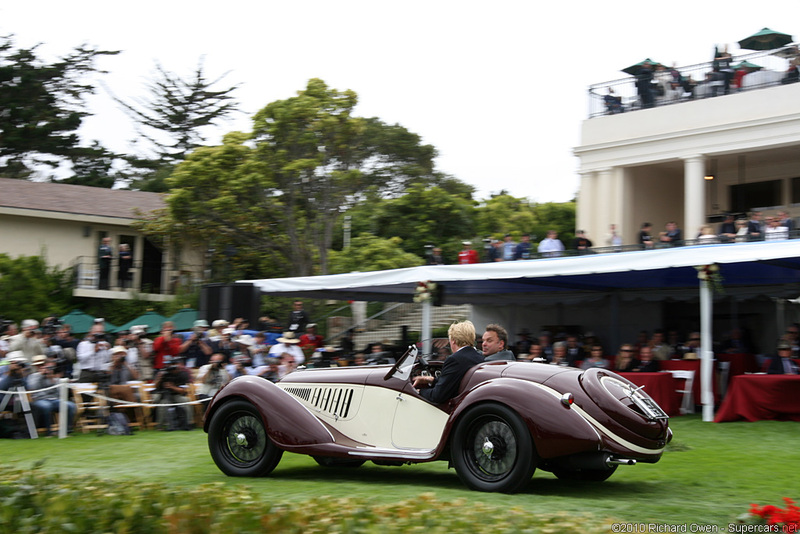 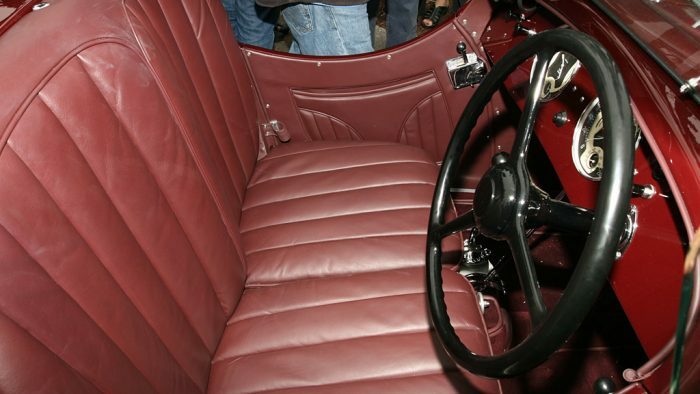 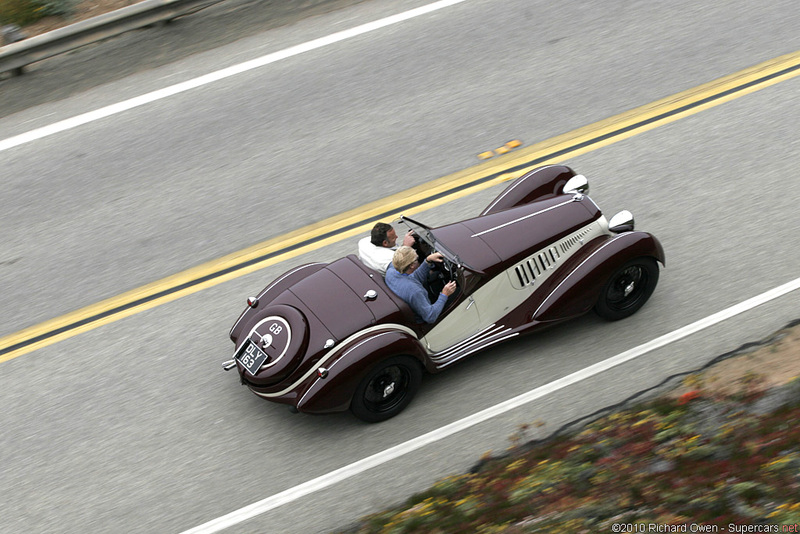 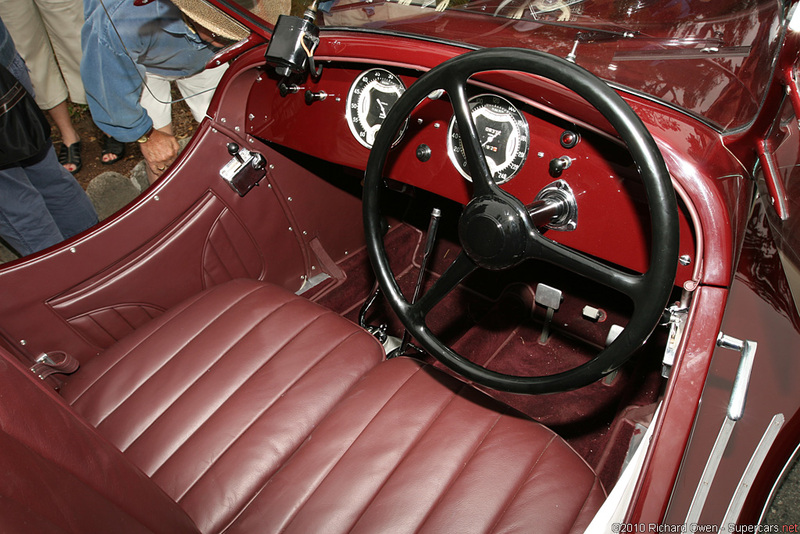 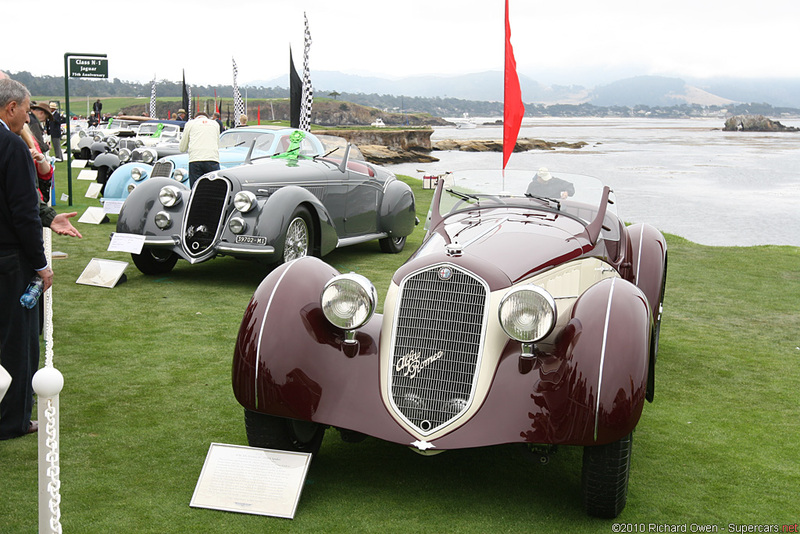 Learn more about the 1936 Alfa Romeo 8C 2900A Spyder here.